What does this little country on the Río de la Plata have to offer? Can you live there? Is it worthwhile investing there? These are some of the questions people frequently ask us. What’s so special about Uruguay? These questions aren’t easy to answer, and the only way to get a real answer is by coming to visit Uruguay yourself. However, we will try to give you an idea of the advantages offered by this sunny, hospitable country. For many people Uruguay is still a blank spot on the map of South America. In 1930, the first ever world football championship was played here, and it was won by the Uruguayan team, known as the “Celestes” because of their sky-blue uniforms. Twenty years later, the Uruguayans captured the World Cup once again, defeating Brazil 2 to 1 at the Maracaná Stadium in Rio de Janeiro, lifting their country into the “blue skies” of football and plunging their giant neighbour into a national depression from which it still hasn’t completely recovered. Uruguay is considered the most European country in Latin America and the large majority of the population is of European descent. This is reflected in the country’s lifestyle, way of thinking and culture. And it makes it easier for people from other countries to adapt to living here. Practically all Uruguayans are descendants of immigrants, and so newcomers do not particularly stand out and are warmly welcomed everywhere. In addition to the culture, the landscape of Uruguay is also quite similar to Europe: wide open plains, always covered in green, dotted with gentle hills, scattered groups of trees and the ubiquitous stands of eucalyptus. In Uruguay, there are no features of the landscape that particularly stand out. There is nothing that would be highlighted in tourism guides, like extraordinarily high mountains, deep canyons or thundering waterfalls. On the beaches, which are never fully packed with people, even in high season, you might feel like you’ve been transported to the Mediterranean; and when you see a lighthouse between the sand dunes and groups of thatched-roof houses, it is only the warm temperature and a few palm trees that remind you you’re not on a beach on the North Sea, but rather in South America. The most European part of Uruguay is the strip of coastline stretching from Montevideo, where almost half of the country’s population of 3.3 million lives, to Punta del Este, the most elegant beach resort in Latin America, like the Saint-Tropez of the Southern hemisphere. On the beaches between Punta del Este and José Ignacio, during the weeks of high tourist season – between Christmas and early March – there is a constant flow of the rich and famous. Of course, the motto during this season is “see and be seen”, but without a doubt many of the celebrities who come here also appreciate the fact that they can walk for kilometres without being constantly harassed. Even during these busy weeks, the beaches of Punta del Este are not overcrowded, compared to the beaches in Europe. In Punta del Este and the other beach resorts, the high season starts with the arrival of Christmas. This marks the beginning of close to 10 weeks of summer vacation in Uruguay, when it seems that the entire country moves to the beach. Summer vacationers also stream in from Brazil and especially Argentina. As a result, during these weeks, beach towns along the entire coastline from Colonia del Sacramento to the Brazilian border are bustling, but never overflowing. Often you will read that when it isn’t high season, the beach resorts are practically ghost towns. But at least when it comes to the strip of coastline between Montevideo and Punta del Este, we can assure you that this is not the case. During the longstanding tradition of a relatively short high season, there have been times in the past when the beach resorts were practically deserted the rest of the year, and this continues to be true for the beach towns located past Punta del Este. The further north you travel along the coast towards Brazil, the less activity you will see the other nine months of the year. But in terms of the beach towns located between the only two international airports in Uruguay – that is, Carrasco International Airport in Montevideo and Punta del Este International Airport – there have been major changes over the last five years. The drive from Montevideo to Punta del Este on the Ruta Interbalnearia – the coast highway – doesn’t take much more than an hour and a half. The days when going to the beach for summer vacation meant hours driving on roads full of potholes or a long slow train ride have long been a thing of the past. Today, more and more people are discovering the benefits of living on the coast all year round and enjoying the privilege of having the beautiful beaches almost all to themselves during the warm months outside of high tourist season, from October to December and from mid-March to May. And another thing about Punta del Este: while it has gained renown as a top-class, luxury holiday resort, it is really just a suburb of Maldonado, a city with around 50,000 inhabitants and the capital of the department (province) of the same name. As a result, it is hard to imagine Punta del Este ever being empty. Today, Punta del Este itself has around 10,000 permanent, year-round residents. All in all, however, people who need non-stop excitement 365 days a year will probably not find happiness on the coasts of Uruguay. Uruguay has experienced impressive growth in recent years and independent economists predict that this development will continue in the near future. Of course, there are still problems that need to be solved in Uruguay. Is there any country in the world that doesn’t have problems? If you are thinking of moving permanently to the coast of Uruguay, should see some of the rest of the country first. The further inland you go, the more signs you will see – even today – of severe poverty, which can also be seen in the poorer neighbourhoods of Montevideo. Strong economic development, with growth rates of up to 7 % annually in recent years, combined with inflation rates that remain relatively high, mean that Uruguay can no longer be considered a “cheap” country. The cost of living is still a little bit lower than in the most countries of Western Europe, for example, but for South America certainly it is high. We are often asked about the approximate monthly cost of living per person in Uruguay. Obviously, it is impossible to provide an exact answer that will apply to everyone, keeping in mind that it all depends a great deal on people’s specific circumstances and individual needs. For example, if you absolutely must drink imported German beer instead of the excellent local beer, or you cannot live without Nutella on your breakfast table, you will have to be prepared to pay a fairly hefty price for them. In addition, at a supermarket on the coast, you can easily end up spending one and a half times what it would cost for the same groceries in a supermarket in a smaller town further inland, sometimes just a few kilometres away. For a big purchase, it is worth the trip, even though gasoline is no longer cheap. A litre of super gasoline currently costs an average of 55 pesos, around 1.50 euros, or US $1.71 (2018/12). One thing that is considerably cheaper here than in Germany, for example, is medical care. Different hospital groups (known as mutualistas or mutual associations) offer general health care coverage for a monthly fee starting from 75 USD. The quality of medical care in Uruguay is quite high, and we can confidently assure you that there is no need for concern in this regard, based on our own personal experience. Up until the age of 65, becoming a member of one of these associations is generally very simple, and the monthly fees are the same for everyone, regardless of age. In Uruguay there is approximately one doctor for every 250 inhabitants. Although this figure on its own might not mean very much, at least when it comes to the number of health care professionals, this reflects a higher level of health care than in Germany and many other countries.  Uruguay rates very favourably by international standards in many other regards as well. For instance, conditions for all types of investment are ideal. Here we should especially emphasize the protection provided by the state, guaranteed by law, for both national and foreign investment, which ranks far above international levels. Moreover, foreign investment is treated exactly the same as local investment. As a result, there are absolutely no obstacles for foreigners to buy real estate in Uruguay. The current climate is highly favourable for investment in real estate, due to both the legal framework and the country’s economic and political stability. And one last thing: Uruguay may be lacking in the sort of major attractions that draw people to other places, and there are a lot of things available in other countries that you won’t find here. But it is also lacking – fortunately – in things like earthquakes, tsunamis, volcanoes, hurricanes and terrorism. “Aquí no pasa nada” – “Nothing ever happens here” – is something Uruguayans say frequently. While it is certainly true when it comes to natural disasters and other problems that plague other countries, it is also proven wrong by the impressive growth and development that Uruguay has undergone in recent years. As we said at the beginning, Uruguay is a sunny, hospitable country, and its pleasant climate is not limited to the weather. “Bienvenidos” means “Welcome” in Spanish, and it is something you will hear – and feel – everywhere you go in the country.